Even though you’ve been eating right and exercising, do you still have spots of fat that won’t go away? If so, SculpSure®, a gentle laser sculpting treatment, could be the perfect solution for you. The doctors at Aligned Medical Group provide in-office SculpSure laser treatments at their clinic in Paoli, Pennsylvania. Individual sessions only take about 25 minutes. Treat yourself today by calling or scheduling online your complimentary SculpSure consultation. SculpSure is a noninvasive, FDA-approved laser treatment designed to destroy stubborn fat cells and sculpt the body. Laser heat damages the structure of the fat cells, and then over the course of the next few months, the body processes and eliminates them. 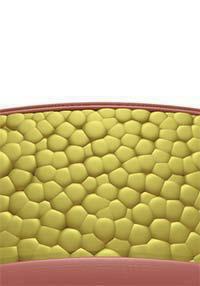 Once these fat cells are gone, they won’t regenerate. Your doctor at Aligned Medical Group applies this laser heat via a belt-like device. They help you reach your goals through a series of 25-minute treatments over the course of approximately 12 weeks. 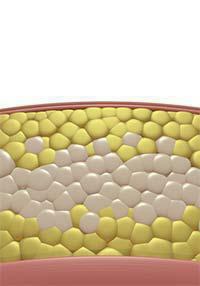 Each treatment session helps eliminate about 24% of the fat cells you’re targeting. You can also SculpSure to eliminate fat cells lingering under your chin. When will I see my SculpSure results? You’ll start noticing that your treatment-targeted areas are more toned within six weeks. This is when the lymphatic system begins to eliminate fat cells. Typically, you’ll see the full results of this process within 12 weeks of treatment. SculpSure treatments don’t hurt. Usually, during your SculpSure treatment, you’ll feel a warm tingling sensation offset by cooling technology built into the SculpSure belt. SculpSure treatments are so mild that you can go back to work immediately after your session. If you’ve been dieting and exercising and you’ve reached your target weight, but you can’t seem to get rid of problem fat pockets, SculpSure might be right for you. SculpSure doesn’t help you lose weight, but rather eliminates those fat cells that won’t go away, despite your best efforts. With SculpSure, you can uncover the toned muscles and curves that you’ve worked so hard to build. 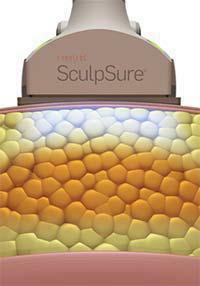 If you’re ready to look and feel your best, try SculpSure contouring treatment. Complement your weight loss with fat loss by scheduling your complimentary SculpSure consultation with Aligned Medical Group today. Reach out over the phone or via the online booking tool. Non-invasive laser body contouring that helps you achieve a natural-looking, slimmer appearance. No Surgery. No Downtime. Just Results. Even with diet and exercise, most people have stubborn pockets of fat that seem impossible to lose. SculpSure’s body contouring technology is able to target and can destroy the targeted fat cells safely in just 25 minutes without affecting the skin’s surface. There is no recovery time following treatment, so you can resume your daily activities immediately. Most patients need multiple treatments to achieve optimal results. SculpSure is now FDA-cleared to reduce fat under the chin. Providers will be offering SculpSure double chin treatments soon, so ask your SculpSure provider about chin treatments today. Targeted laser energy heats fat cells under the skin without affecting the skin’s surface. SculpSure raises the temperature of fat cells damaging their structural integrity. Over the next three months, the damaged fat cells are processed and eliminated by the body’s lymphatic system. 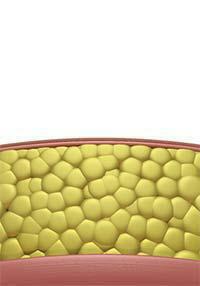 Fat cells are permanently removed and will not regenerate. Results can be seen as quickly as six weeks, and optimal results typically seen at 12 weeks. When the treatment starts, initially you will feel a cooling sensation. This helps keep the skin comfortable during treatment. The cooling will be on the entire treatment, while the laser cycles on and off, raising the temperature of the fat cells. Most patients feel a deep warmth and/or tingling sensation intermittently throughout the treatment which is generally well-tolerated3,4.